Continuing advancements in automotive safety and control technology aren’t being ignored by commercial vehicle operators, according to Pailton Engineering. With road haulage being essential for the people and businesses of the UK and 2.2 million working in the haulage and logistics industry, transport technology needs to keep up with the growing demand, whilst matching the safety and technology performances of the automotive industry as a whole. Cy Wilkinson, managing director of steering specialist, Pailton Engineering, looks at the latest technology available in the commercial vehicles. In 2015, it became mandatory for newly registered HGVs over 7.5 tonnes to be fitted with autonomous emergency braking (AEB) systems. AEB systems automatically apply the vehicle’s brakes in a critical situation based on feedback from radar or optical sensors. This technology was originally intended for use in cars, but HGVs have adopted the technology to great success. Current AEB systems in commercial vehicles have been shown to outperform even the most advanced car systems. From 2014, any new passenger vehicles to be registered must have a tyre pressure monitoring system (TPMS) fitted. This legislation wasn’t extended to HGVs, even though correct tyre inflation is crucial for both fuel efficiency and braking performance. However, that hasn’t stopped the technology being made available. HGVs can be fitted with TPMS sensors in place of tyre dust caps, monitoring temperature and pressure, and feeding back to a device inside the cabin or transmitting this information to the fleet manager remotely. On top of this, a central tyre inflation (CTI) system can be fitted to inflate or deflate the tyres appropriately. Off-the-shelf steering systems aren’t designed with a particular vehicle, or application, in mind, and therefore do not always provide every feature that a customer requires. To keep up with the growing industry demand, bespoke, made to measure steering systems, such as those from Pailton Engineering, are available to provide high performing fully customised steering, expertly engineered for a specific environment. Every part of the steering system, from the input at the steering wheel to the output at road wheels can be custom made. Safe drivers need to remain alert. Driver fatigue monitoring systems are being developed to check whether drivers aren’t as alert as they should be. Cameras within the vehicle cabin or fitted to glasses worn by the driver can detect subtle movements that indicate inattentiveness or drowsiness. In particular, things such as slower eyelid movement can indicate driver fatigue, which the system then initiates an audible warning, and logs this issue. When it’s dark, it’s harder to detect oncoming obstacles approaching ahead. An enhanced night vision (ENV) system uses infra-red imaging technology to provide advanced warning, before the driver has seen the hazard with their own eyes. The driver then has more time to react and slow down, which reduces collision risk greatly. Whether you are a truck original equipment manufacturer (OEM) or a fleet manager, every member of the 2.2 million working in the haulage and logistics industry will benefit from the ever-advancing technology in the haulage industry. 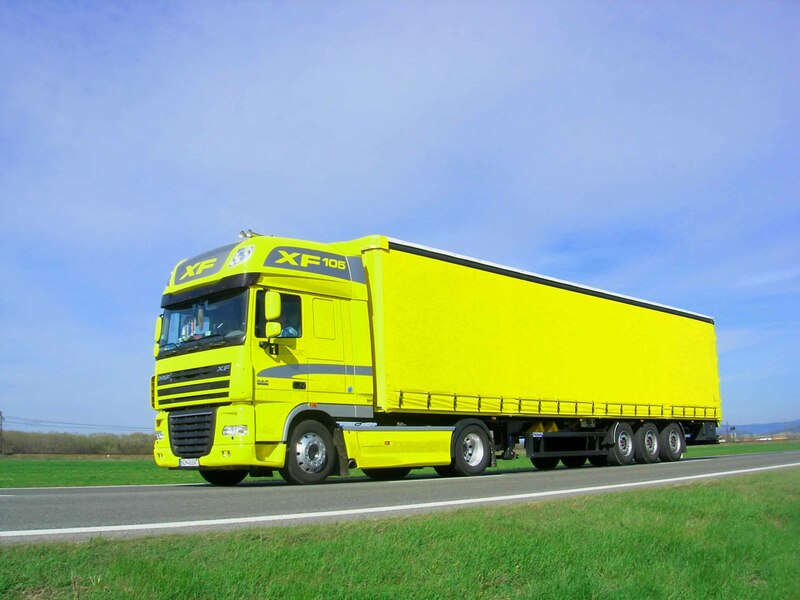 A well equipped vehicle will mean safer roads, maintained company reputation and less downtime.